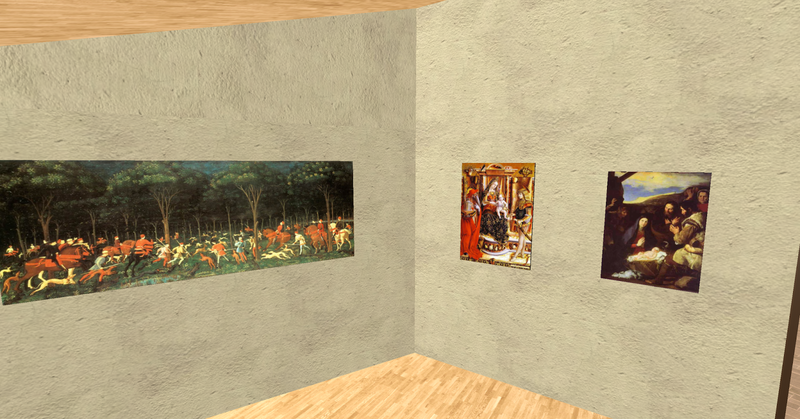 For anyone interested in art in general the Renaissance period stands out as a period of mass explosion of art. Renaissance art is the painting, sculpture and decorative arts of that period of European history known as the Renaissance, emerging as a distinct style in Italy in about 1400, in parallel with developments which occurred in philosophy, literature, music and science. 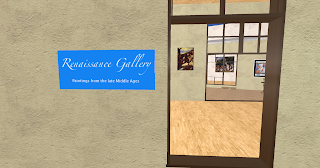 Renaissance art, perceived as a royalty of ancient traditions, took as its foundation the art of Classical antiquity, but transformed that tradition by the absorption of recent developments in the art of Northern Europe and by application of contemporary scientific knowledge. 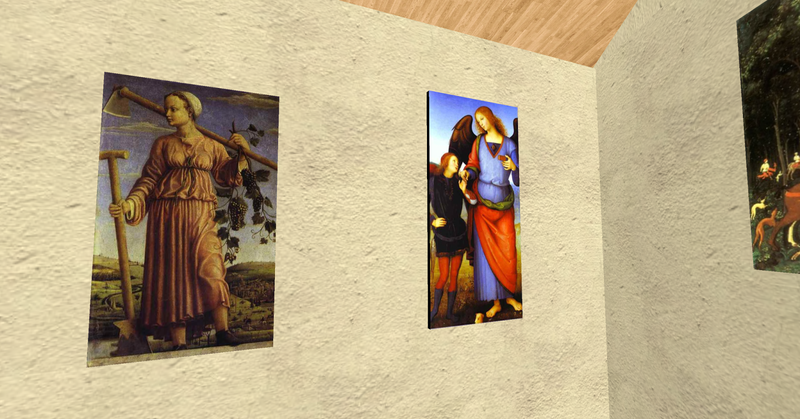 Renaissance art, with Renaissance Humanist philosophy, spread throughout Europe, affecting both artists and their patrons with the development of new techniques and new artistic sensibilities. 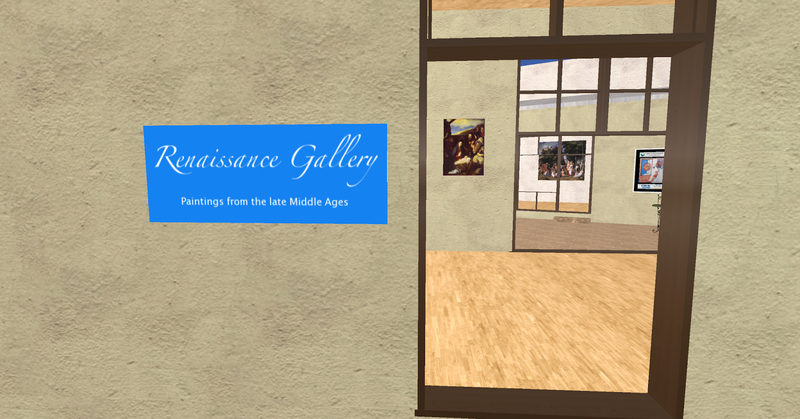 Renaissance art marks the transition of Europe from the medieval period to the Early Modern age. 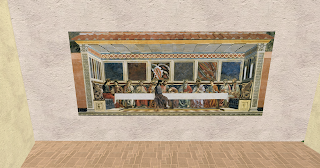 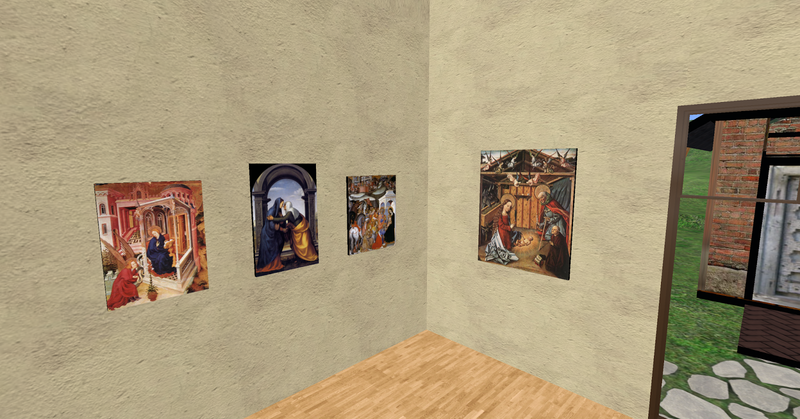 The paintings in the gallery are also for sale if you wish you buy any of them to place in your own home or office or maybe you have a sim based around the medieval age and want to make it look more authentic, or maybe you just like art in second life and wish to take a look at some of the masters in this wonderful setting. 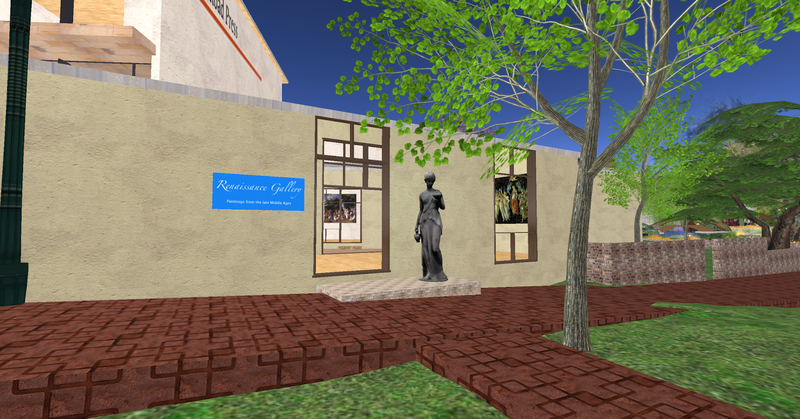 This is the view down the road from outside the gallery, as you can see it looks nice with trees and a pavement for you to walk on instead of just the road or uneven grass.